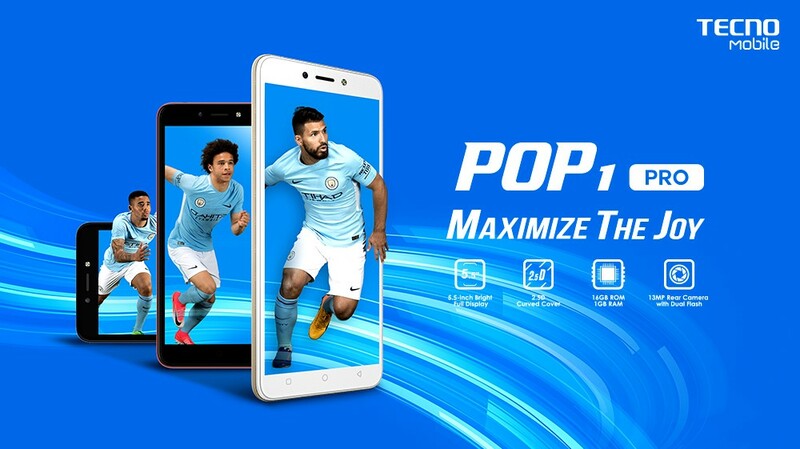 TECNO Mobile, one of the TOP-10 largest smartphone vendors in the world, newly introduced the new model in Pakistan- POP 1 Pro, a full-screen smartphone with guaranteed quality but sweet price. TECNO POP 1 Pro is designed for users who appreciate the combination of high performance and reliable device quality. It is a universal and affordable smartphone, featuring elegant design and good functionality. POP 1 Pro received a large 5.5 “Full View screen with an aspect ratio of 18: 9 and 2.5D curved glass. The modern quad-core MediaTek MT6580W processor with 1 GB RAM to provide fast processing of information, viewing videos, playing games and launching several services simultaneously and 16 GB internal memory with the possibility of increasing with the memory card up to 32GB. Equipped with a high-quality 13 MP main camera and 5 MP front camera, TECNO POP 1 Pro uses dual tone flash technology to produce perfectly clear photos under all shooting conditions. Double flash facilitates real color rendering and allows you to take vivid pictures even in low light conditions. TECNO POP 1 Pro is equipped with built-in modules for wireless data transmission Bluetooth 4.2, Wi-Fi (802.11b/g/n). Smartphone supports 2 SIM-cards in the standby mode. TECNO POP 1 Pro in an elegant ergonomic body fits perfectly in your hand, which facilitates easy and comfortable work with the device and is Equipped with a Li-ion 2400 mAh battery. The concept of POP 1 Pro is based on two components: Reliability and Budget Friendly. Based on Android™ 7.0, POP 1 Pro built with new and reimagined apps. The user-friendly system launches quicker than ever to get ready for your use. The split-screen mode makes it possible to open two apps within one window. To ensure high quality, all TECNO devices are certified with the Blue Shield Quality System and receive an official extended warranty of 12 +1 months with a 100 days device Replacement warranty in case of any hardware malfunction. 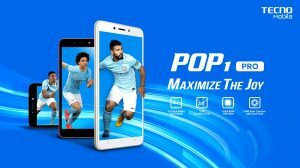 TECNO POP 1 Pro represents the optimal balance of affordable price and mobile technologies and is already available in PKR/ -11,999.